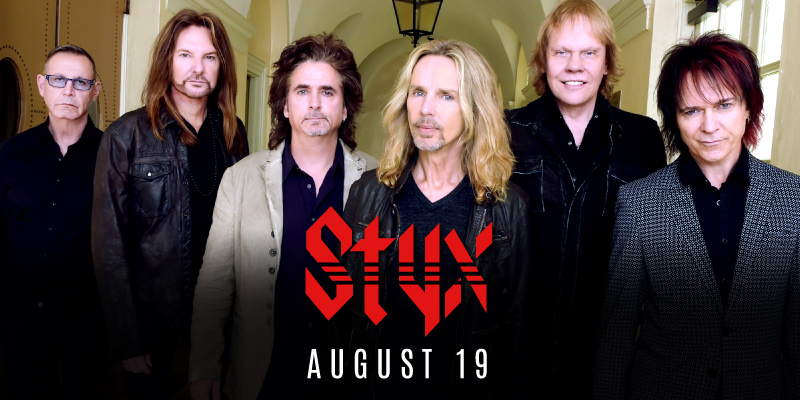 On Sunday, August 19, STYX’s current headlining tour will bring them to the Redding Civic Auditorium in Redding, CA, near the origin of the massive Carr Fire, which has been called the sixth most destructive fire in state history. In response to the devastation, the band has made a donation of $5,000 to the Shasta Regional Community Foundation via their Rock To The Rescue 501(c)3 organization, which will be matched by the band themselves as well as venue out of net proceeds from the show up to $15,000. There will also be ways for fans to donate at the show, which is not being cancelled, and fans are being encouraged to donate directly to the Shasta Regional Community Foundation website.